A few months ago, we shared a sample recipe for Vegan Pizza Dough Garlic Rolls from the new edition of Vegan Junk Food by Lane Gold. 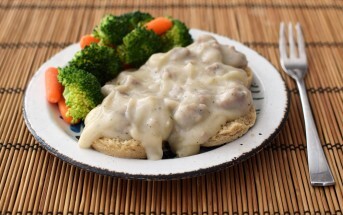 And with the big games ahead, we thought another fun, shareable recipe from her cookbook was in order. 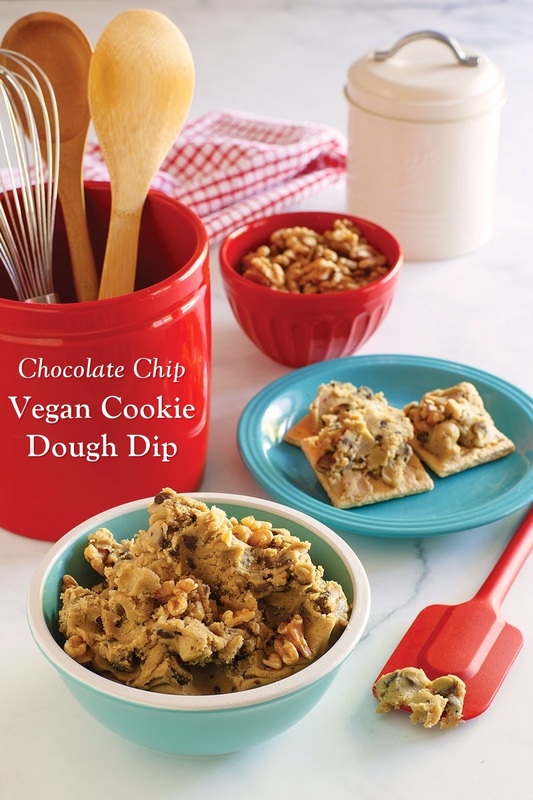 Lane agreed, and gave permissions for us to post this scrumptious Chocolate Chip Vegan Cookie Dough Dip recipe. Graham Crackers – Regular or chocolate graham crackers are great, but keep an eye out for dairy. Some brands do contain a touch. Most brands contain a little honey, which could be a problem for strict vegans. But you can usually find an option or two without. If you can’t locate some, then make your own! These Vegan Chocolate Graham Crackers are scrumptious and these Grain-Free Graham Crackers are a fun option. 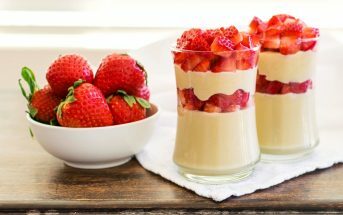 Fresh Fruit – Strawberries are a natural companion to this vegan cookie dough dip. But you might also like orange segments, apple slices, stone fruit wedges (in warmer seasons), or grapes for dunking. Cookies – Because, why not? Really any type of crispy dairy-free cookie will do. 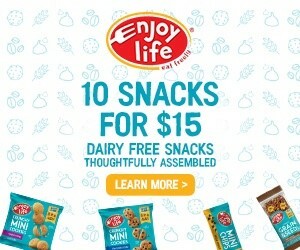 But I love buying assorted Enjoy Life Crunchy Cookies to serve with cookie dough dip. 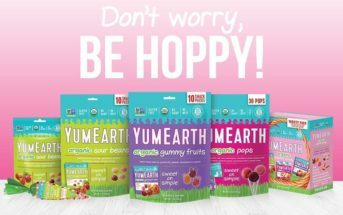 They’re gluten-free, top food allergy-friendly, and vegan (but one flavor contains honey). Plus, they have Minis! 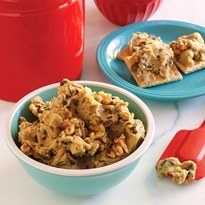 Pretzels – Sweet and salty fans will love the combination of pretzels and this chocolate chips vegan cookie dough dip. I like the pretzel crisps for more surface area to hold the dip. Brownie Crisps – While we’re talking crisps, we can’t forget about brownie versions. Not all are dairy-free, but brands like Trader Joe’s and Lucy’s are great options. They’re both vegan and gluten-free too. By ingredients, this recipe is dairy-free / non-dairy, egg-free, gluten-free, grain-free, optionally nut-free, peanut-free, optionally soy-free, vegan, and vegetarian. Because we all know the dough is the best part of chocolate chip cookies. Serve this dip with graham crackers. In a stand mixer or by hand, beat the cream cheese alternative, buttery spread or sticks, and coconut oil until fluffy. Mix in the powdered sugar, brown sugar, vanilla, salt, chocolate chips, and walnuts until combined. Scrape into a bowl to serve. 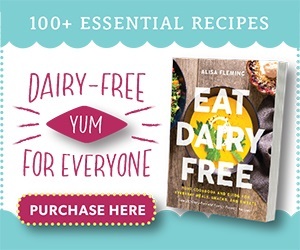 Excerpted from Vegan Junk Food, Expanded Edition: 200+ Vegan Recipes for the Foods You Crave―Minus the Ingredients You Don't, Expanded Edition by Lane Gold Copyright © 2018 Adams Media, a division of Simon and Schuster. Used by permission of the publisher. All rights reserved. Photographs by James Stefiuk. 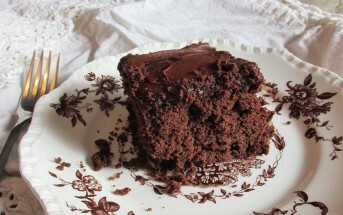 Looks quite yummy! Going to try this out soon! My dairy-allergy self thanks you for all your recipes! I hope you get the chance to enjoy it Kristen!